What does it mean to wake up? What you truly desire in life cannot be found without waking up. Your true essence is beyond what the mind can understand so when we choose to live in the ideas of ourselves; life often becomes a struggle or uncomfortable. Lack, limitation, boredom, suffering, unfulfillment, and emptiness are all symptoms of living in the identity and ignoring your true self. You are reading this right now because you know there is more available to you. There is more love, abundance, profound connection, greater fulfillment and unlimited possibilities that your mind can’t even imagine yet. This greater relationship to your true self is what every seeker is actually looking for. If it’s already within, how do I find it? You have probably heard all of this before but as you have already experienced, just understanding these concepts doesn’t create any change in your life. The Awaken Academy is a 12-week journey designed to help you explore and embody this connection to you, not just understand it. It’s not for everyone at this time; not everyone even desires to wake up. Some people just want to go to work to come home and watch TV every single day until they go to sleep. There is nothing wrong with that but this course will drive that person crazy. If you are still reading…..
You are going to love this 12-week journey. 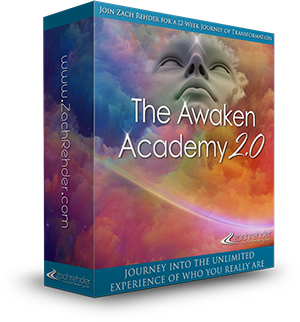 The Awaken Academy 2.0 will be a deep dive into consciousness. 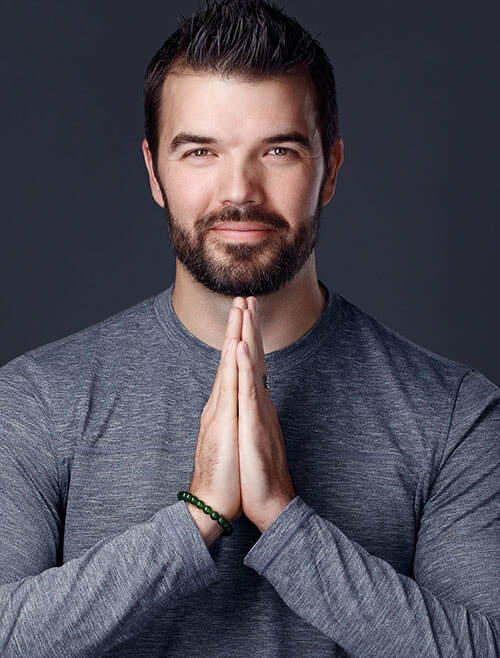 If you have experienced and benefited from the transmissions and teachings from Zach before, this course will offer a whole new level of expansion and exploration. This event has an unconditional 30 DAY MONEY BACK GUARANTEE so you have nothing to lose and infinite possibilities to gain! What Are All the Live Call Dates? How do I access the live calls? You can listen to the classes (these are audio only) by either phone, tablet or computer. There will be a teleconference phone line to call in on with an access code. The phone number and code will be the same number throughout the series. We will have local dial-in numbers across the USA, Canada, the UK and Australia, and other European countries, plus U.S. callers will have toll-free phone access. You can also listen through your computer via the webcast from anywhere in the world. You will also receive the MP3 recordings after each class. What if I can't be there live? Whether or not you can attend some or all of the calls live, you will have full access to all of the mp3 recordings for the whole series to listen to and re-listen to at your convenience. Is it too late to join? No, you can still join us. Every session in recorded so it's easy to catch up. This course has been 'beyond amazing' and that was the only expectation I had coming in to this time together......I knew it would be even MORE than I could imagine! This course has helped me to embody 'trusting' myself....and in a new way, see how change and movement are part of my nature. I do not need to call any of the experiences that I have lived, bad or wrong. There is no part of me that I need to resist or get rid of. I do not need to change anything...I can lovingly feel the spaciousness that welcomes and includes everything as love and then breath and allow whatever is about to unfold. Our time together and the beautiful guidance Zach has shared with us, has allowed me to 'feel' the truth of who I am in such a new way...not as something I am now trying to 'work on' but it is something I feel as a natural part of unfolding and there is an ease and peace I have not experienced before. Thank you so much for this incredible course. I love it so so much. Every call was a surprise and a super inspiration. Now i feel a new space and wideness inside of me and that my mind can also be a good friend. It would be so wonderful if you could create a second edition of this course. I would love to go on. You truly knocked it out of the park for me today Zach and I feel like I've come out of a closed loop system where I was constantly chasing my mind for answers. Something profound opened up within me and I am so grateful for what you do for me and this community. Things happening in my body and in my energy. I feel that I am more perceptive and my body more sensitive. It is as if I am living another transformation from the inside out….. Thank you for that call Zach. I had a big release regarding the 'fitting into' and judgment allowance. I'm really grateful I gifted myself with these 7 weeks. I'm experiencing some slight shifts in awareness and presence already. Today’s call snapped me into spaciousness! This is a really terrific class! I'm gaining really powerful insights each week and I am so appreciative of all of the information that is being shared. Thank you so much Zach for yet another beautiful, powerful and surprising course!!! Yesterday night I was listening to the first call again, and when you were talking about that everything is good already and it’s nothing to be fixed in me, I had this deep relaxation in my body and tears in my eyes. And I went to the blissful and relaxed state I never been before… Great feeling :)! Zach Rehder is an international teacher, speaker and healer. Through a series of awakenings, he became a channel for messages and energies that heal, unlock and awaken human potential. His work enables individuals to dissolve barriers and free themselves from negativity, limitation and lack. Zach travels internationally to facilitate seminars and workshops and regularly hosts teleclasses and online programs. He provides remote and in-person private sessions for clients from around the globe. His clients include leaders in the personal development industry, from best-selling authors to stars of the movie The Secret. Many clients have experienced amazing, inexplicable healings and awakenings through Zach’s programs and sessions. Zach’s mission is to support others in their awakening process. He assists people in removing physical, mental, emotional and spiritual obstacles so that they can clearly see, hear and follow their own Divine guidance with grace and ease and fully embody who they came here to be.